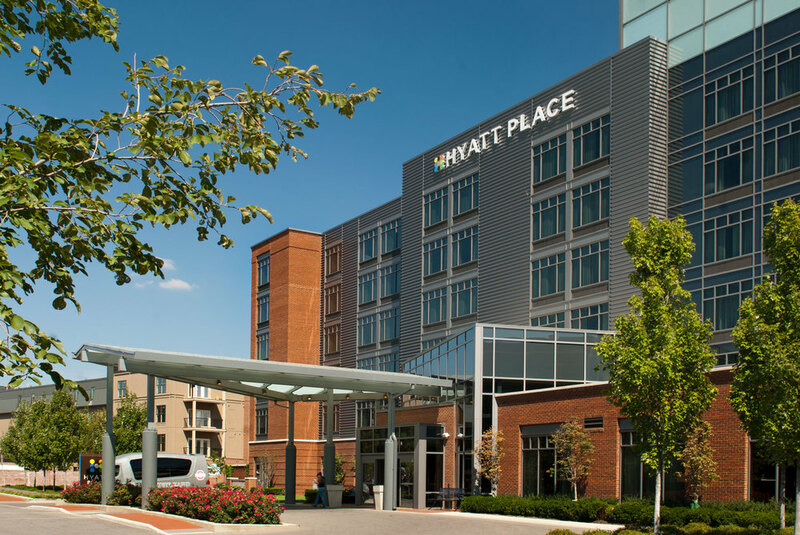 Constructed in the first phase of Grandview Yard, a destination mixed use development, the Hyatt Place hotel was selected as the right amenity level facility for this upscale urban campus. The seven story building includes 120 guest rooms, meeting facilities, food preparation, and recreation amenities. Hyatt Place had unique branding architectural elements including the “wedge” light tower and glass porte cochere located at the hotel entrance. Though the hotel chain brought with it certain architectural requirements, so did Acock’s client. The building was designed to significantly increase the guestroom window sizes. 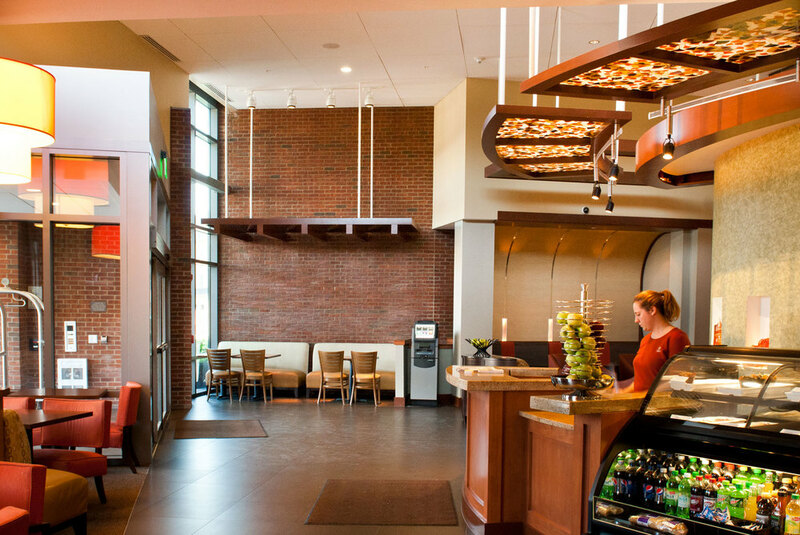 The rich brick envelope design is textured with detailing such as a corbeled brick cornice, pulled header panels, and limestone elements. These compliment the contemporary detailed metal siding and glass fenestration.